iOS 12 introduced a feature which allows you to hide your message notifications on your lockscreen. Which means you can see that you have received a new message, but the content is not shown until you unlock the device. But the new update iOS 12 contains a bug in which Siri reads the content of your messages from the lockscreen, even if it is hidden. It is a severe privacy issue. 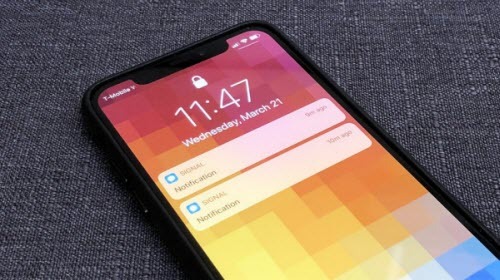 The feature of hiding content of notifications on the lockscreen was first introduced on iPhone X. It gained a lot of popularity because it allows you to see that you have received, let’s say a WhatsApp message, but no one can see the content of the message until the iPhone X scans your face and identify you as the owner of the device. The feature worked great to protect the privacy of users until the release of iOS 12 update. Many users have discovered the bug in this new update. The bug is, Siri can read most hidden messages even if they are hidden on your lockscreen. So basically anyone who doesn’t have the passcode can easily access the hidden message notification from your device by using Siri. This bug has no effect on the official Messages app by Apple. However, many third party apps such as Telegram, Skype, and WhatsApp are vulnerable to this issue. The bug has directly affected numerous users because notifications on the latest iPhone X are by default set to be hidden. This bug is definitely a major one as it can lead to privacy leak. No one wants their private messages to be revealed to others. Only a minority of individuals may not have a problem with this. This isn’t the first time that Siri has been used to access private information as it has been done in the past; it has been used to access camera roll and contact list. As this bug doesn’t have any effect on messages from the official Messages app, Apple only needs to implement the same security for third-party apps too. Apple has confirmed the iOS 12 Siri bug and has stated that the company is aware of the issues and that users can expect it to be fixed in an upcoming software update. The release date of the new update is currently unknown. The issue may be fixed in the next beta build or in the final stable build of iOS 11.3. If you have installed the latest beta version of iOS 12 in your iPhone and want to test this Siri bug, then navigate to Settings > Notifications > [your preferred messaging app] > Show Previews, and then select the “When Unlocked” option. Siri will read notifications from the lockscreen after this. Step 1. Open Settings in your iPhone. Step 2. 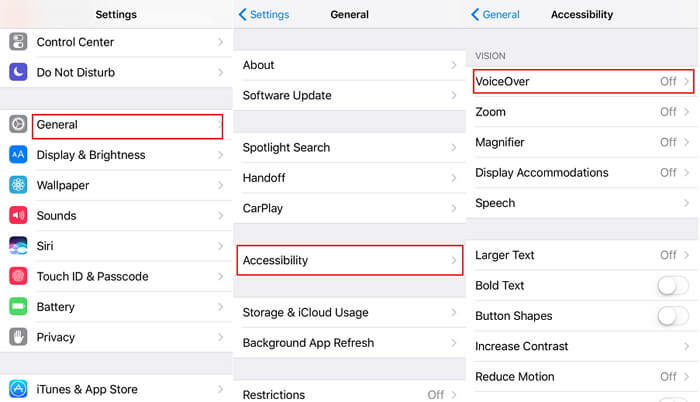 Navigate to General > Accessibility > VoiceOver. Step 3. Now in this section, find and use the Always Speak Notifications button in order to disable the feature that Siri uses. If you want to enable the spoken notifications, then simply use the Always Speak Notifications option again using the same steps and turn the option On. 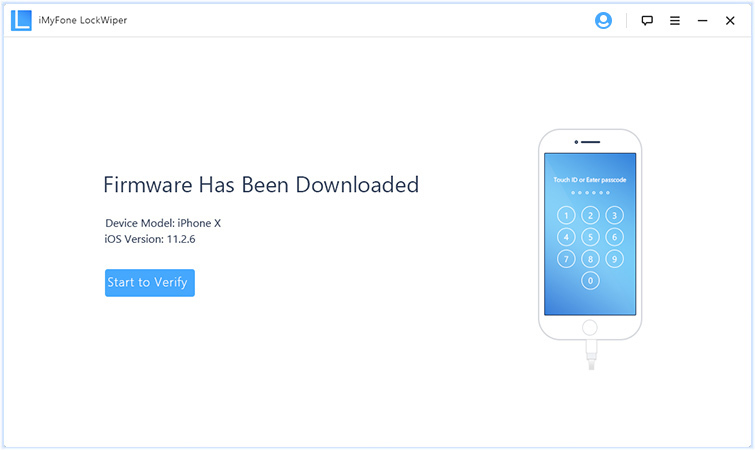 If you have been locked out of your iPhone, you are not alone. There are numerous iPhone users who go through this exasperating situation. In today’s advanced world, we all are dependent on our phones for almost everything. If you are unable to access your phone, it will seem like your life has come to a halt. To make matters worse, there is a Siri bug that will enable anyone to read your hidden notifications. 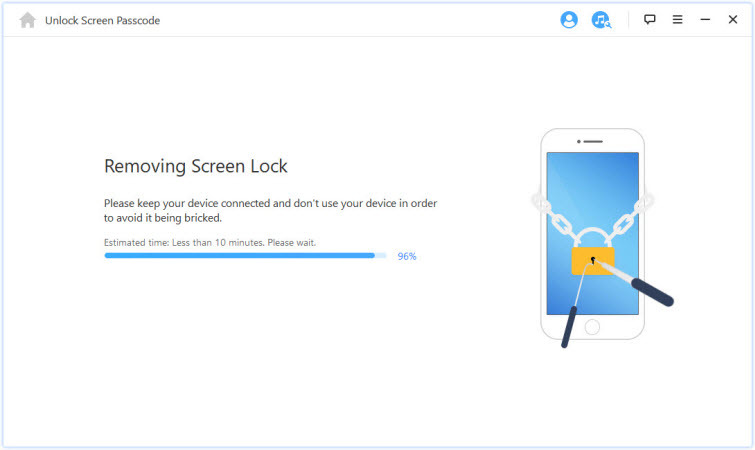 In order to avoid such difficult and troublesome situations, you can use iMyFone LockWiper to unlock your iPhone quickly and prevent someone from invading your privacy. This is a great way to unlock your iCloud without using the password. The probability of successful unlocking of your phone is extremely high. It is capable of unlocking Touch ID, Face ID, passcode of 4-digit ad 6-digit. This is compatible with iOS 12 and all the iPhones. It will help you unlock broken, disabled, or locked screen. 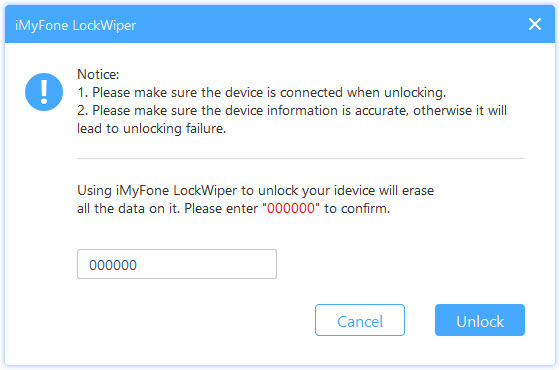 Step 1: First, you need to download iMyFone LockWiper on your PC and choose “Start”. 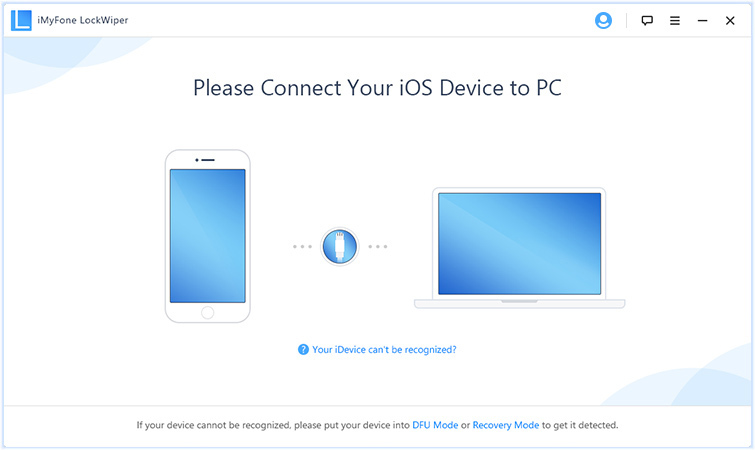 Step 2: After that, you must connect your phone to the computer. Step 3: Then, you will have to boot your phone in DFU mode. Press and hold the volume down button and power button. After 10 seconds, release the power button and keep holding the volume button. Step 4: All the details about your device will display. Change the information that is incorrect. 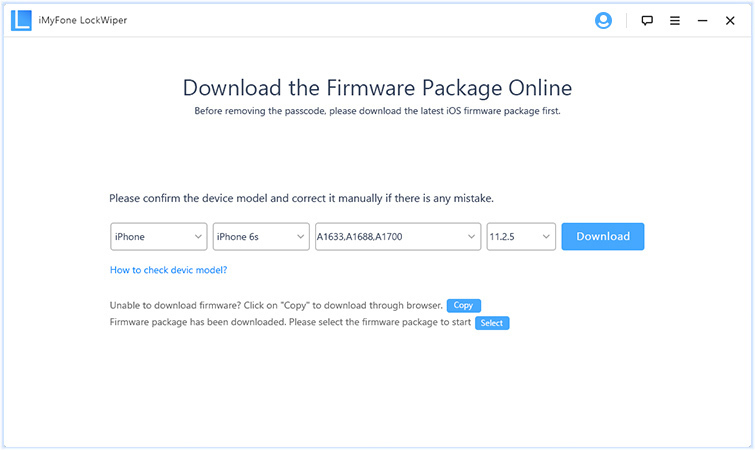 You can download the firmware by clicking on the “Download” button. Step 5: Later you can click on “Start to Verify” to verify the firmware. Step 6: After that, click on “Start Unlock”. 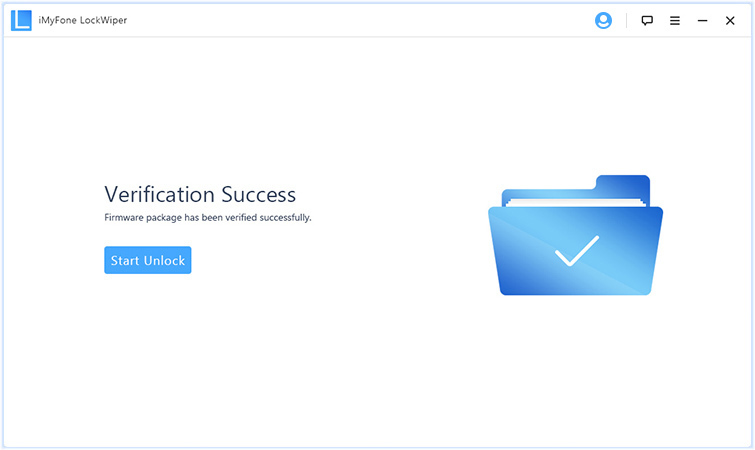 Step 7: Enter “000000” to double confirm unlocking. 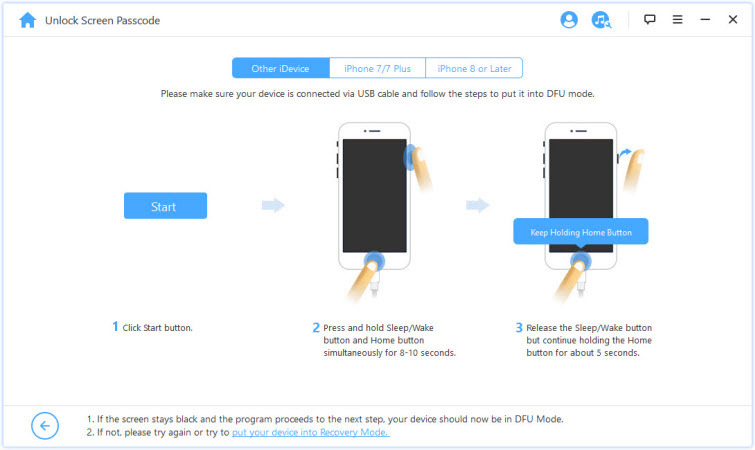 Step 8: Within few minutes, your iPhone will be unlocked. 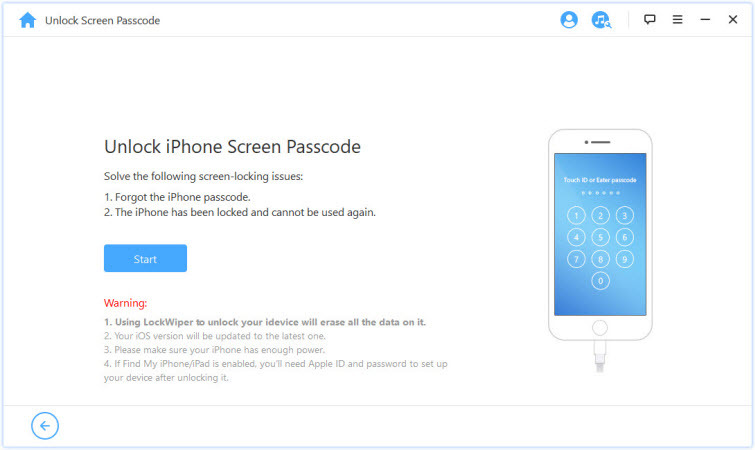 All in all, the perfect solution for unlocking your phone is iMyFone LockWiper.